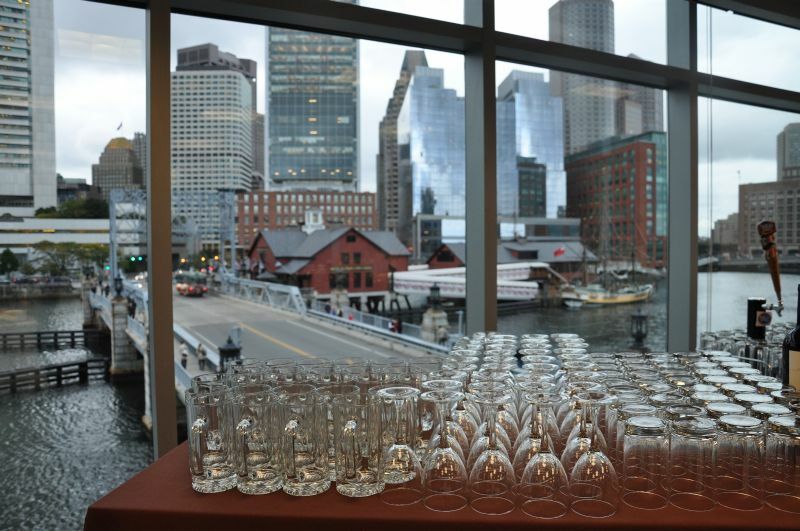 OpenView Partners hired Beverage Events Bartending Service to pour festive fun while Boston’s techno talent mingled with entrepreneurs, local startups, industry experts, marketers and journalists. 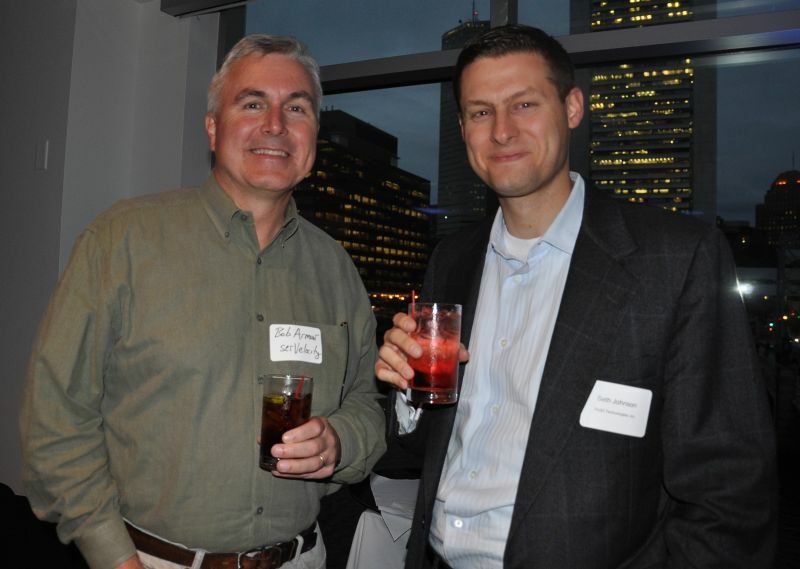 The Oktoberfest networking event took place at the OpenView Partners offices on Summer Street at the entrance to Boston’s Innovation District. 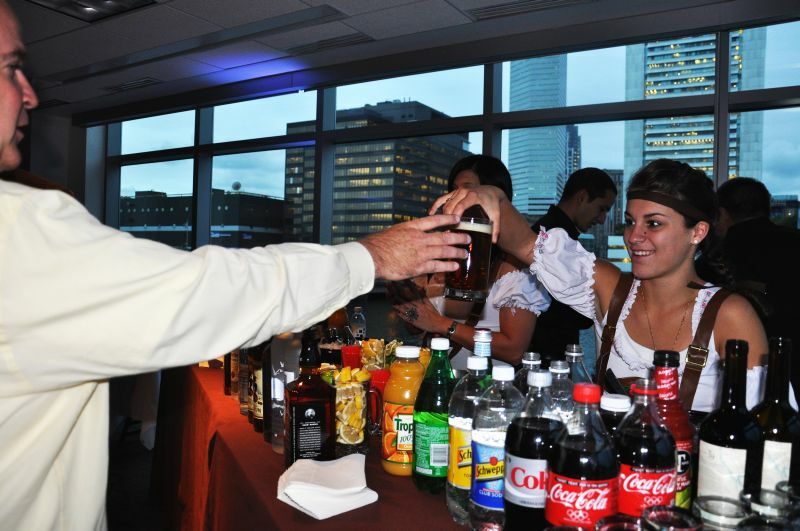 Our corporate clients generally hire our bartending service to handle everything from setup to cleanup. We take care of liquor liability insurance, licensing if any alcohol is sold, certified bartenders, all the bar equipment, coordinating deliveries and pickups, moving furniture out of the way, setting up the bars and even placing the decor. Once the event is over, we break it down, clean it up, ship everything back, and all that’s left are the memories. 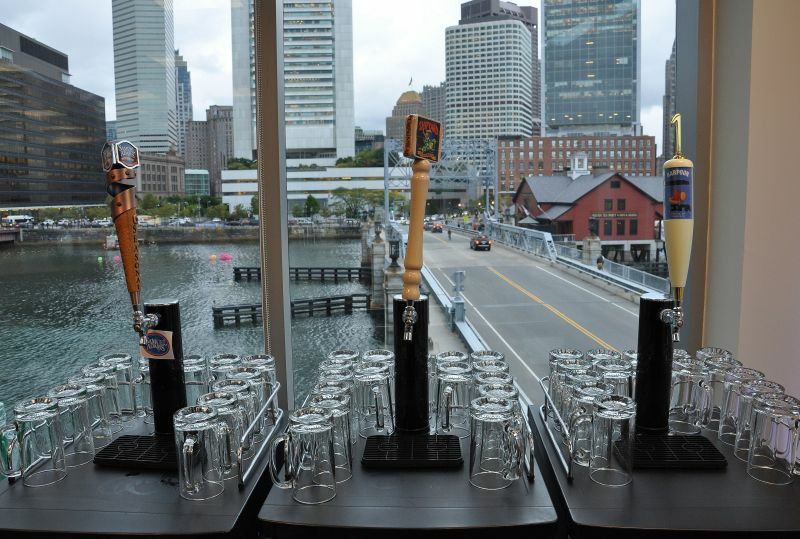 This beverage catering service menu included pumpkin beer, luscious cocktails, and great hors d’oeuvres which complimented the stunning view of Boston Harbor. One hundred and twenty guests dined on delicious festive foods from Bakers Best Catering and sipped craft beers and cocktails from Boston’s best mixologists. In keeping with the Oktoberfest beer garden theme, we provided our new stylish and authentic kegerators, with custom branded keg pulls. These custom portable kegerators are exclusive to Beverage Events and they are rented for special events throughout New England. Custom kegerators of Sam Adams Octoberfest, Shipyard Pumpkinhead, and Harpoon I.P.A.